The Ringling Brothers and Barnum & Bailey Circus gave its last performance the weekend of 5/20/2017. The circus touts as being a team of people with magnificent animals such as elephants, camels, tigers and horses they train to do spectacular tricks. The size, spectacle and history stretch back to P.T. Barnum and his traveling museum in the 1800s. In recent years the circus has been cited for cruelty to animals. Because of ticket sales being so low, the circus decided to close up shop. Where was the outcry when there was cruelty to people? Again, more remorse is shown to animals than people. Remember when first Lady Michelle Obama was referred to as "an ape wearing heels?" The comment can be looked at as a carry-over from the way groups of people are perceived throughout the world. Europe was filled with, “human zoos,” in cities like Paris, Hamburg, Antwerp, Barcelona, London, Milan, and Warsaw. New York too saw these popular exhibits continue into the 20th century. 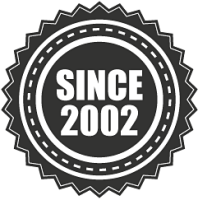 There was an average of 200,000 to 300,000 visitors who attended each exhibition in every city. Displays of non-white humans as examples of "earlier stages" of human evolution were common in the early 20th century when racial theories were frequently intertwined with concepts from evolutionary biology. The US and Europe put groups of people on display as animals in human zoos featuring Africans and conquered indigenous peoples. 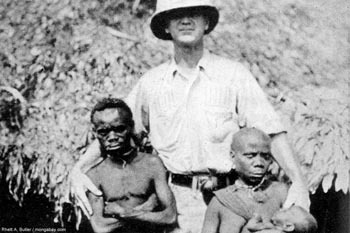 People would be kidnapped and brought to be exhibited in human zoos. It was not uncommon for these people to die quickly, even within a year of their captivity. This history is long and deep and continued into the 1950s. Ota Benga was a Congolese Pygmy brought to the United States by a missionary named Samuel Phillips Verner to be put on display like a carnival oddity at the 1904 St. Louis World's Fair. In 1906 Ota was placed on display with an orangutan in a primate house cage at the Bronx Zoo. He was housed and displayed along with other native indigenous "specimens" of the world, including the Apache prisoner of war Geronimo. The remains of an indigenous South African, who was paraded around Europe in the early 19th century, have been laid to rest. The burial ceremony for Sarah (Saartje) Baartman - who was dubbed the "Hottentot Venus" in Europe - took place in a remote valley in the Eastern Cape where she was born more than two centuries ago. Her remains were brought back to South Africa from France where they had been on display at the Museum of Mankind. South African President Thabo Mbeki has declared her grave a national monument and said a second monument will be erected in her honor in Cape Town. 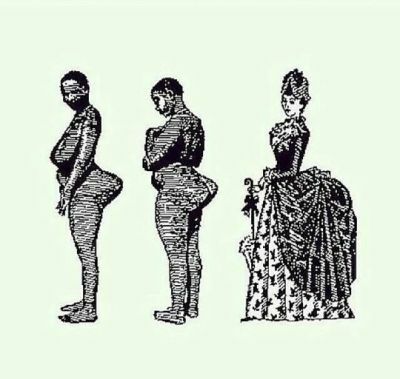 Sarah Baartman - a Khoisan, or indigenous woman - was taken from her homeland in 1810 after a ship's doctor told her that she could earn a fortune by allowing foreigners to look at her body. Instead, she became a freak-show attraction investigated by supposed scientists and put under the voyeuristic eye of the general public. She was forced to show off her large buttocks and her outsized genitalia at circus sideshows, museums, bars and universities. She died in 1816 aged 26, a penniless prostitute. Sarah Baartman has become an icon for South African women. Baartman's body was the foundation for scientific racism. Cuvier used her body to create a borderline between the "abnormal" African woman and "normal" European woman. He used her buttocks as the salient feature in casting her as savage. When President Mbeki addressed the ceremony he said: "The story of Sarah Baartman is the story of the African people." "It is the story of the loss of our ancient freedom... It is the story of our reduction to the state of objects who could be owned, used and discarded by others." Mr. Mbeki said scientists of the day had used Sarah to promote grotesque racial stereotypes. He quoted Baron Georges Couvier, who dissected Sarah's body after her death, as saying: "Her moves had something that reminded one of the monkeys and her external genitalia recalled those of the orang-utan."